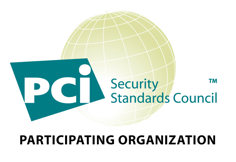 SavvyPCI is dedicated to the simple vision of building the future of PCI compliance by creating a PCI data platform, infrastructure, and building blocks for end-to-end automated PCI compliance. Automated PCI compliance solutions are correlated with the ongoing security of organizations and startups and being PCI compliant and secure is foundational to keeping business dreams alive. Whether entrepreneur or employees, family or community, remaining secure and PCI compliant as easily as possible benefits us all. Our passion is empowering Service Providers and Merchants to overcome the obstacles to business-as-usual PCI compliance by working together in new and scalable ways. We are in constant pursuit of developing and enriching a data platform and set of solutions that solve one of the biggest problems in PCI - connecting Merchants and Service Providers to get PCI done together. While Memphis, TN is our headquarters, many of us work remotely around the globe. We are a team of designers, developers, marketers, IT professionals, security experts, and innovators. We look forward to serving you! We are building a business that delivers simple, smart tools for overcoming the obstacles to security and PCI compliance. Our top priorities are investing in customer success, superior data, and software that delights. We are investing in an innovative, enduring, and dependable data platform, to help foster a culture in which security and PCI compliance are business-as-usual. We believe in having fun, pursuing excellence, and putting people first. The Golden Rule is our guide every day - we strive to treat our customers the way we would want to be treated.